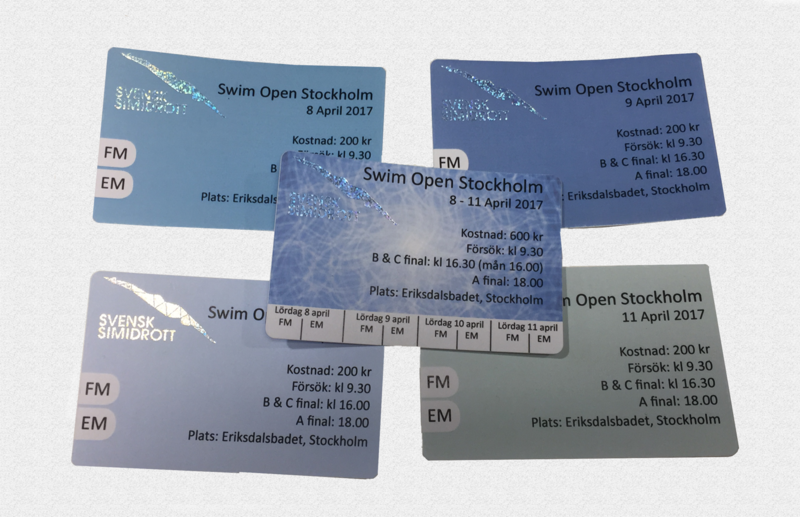 The Swim Open organization will inform all spectators that the tickets soon are sold out. But there are still tickets to buy for each day (and also the combo for all four days) if you hurry up. You can buy tickets at the online shop this week (more info here) and then get them delivered to your home adress, but on Monday the 3rd of April the online shop will be closed. After that all the eventually remaining tickets will be sold on spot.